Camp Fire area wildfires have claimed the lives of 76 people, while 1,276 are still unaccounted for, according to FOX News. The fire may have taken lives and property, but it hasn’t taken away the humanity of local residents. Some even put their dire situations on hold to help others. Take Brenda and Buzz Clark for example. They barely escaped the fire in their Edgewood Lane neighborhood. 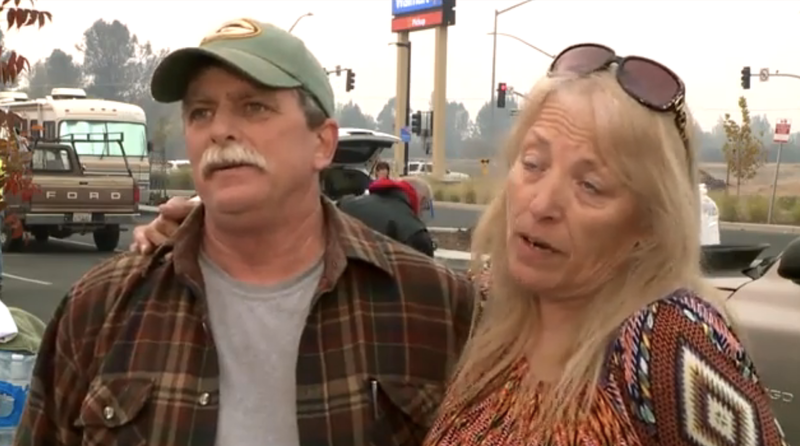 The fire burned their home down and left them homeless. 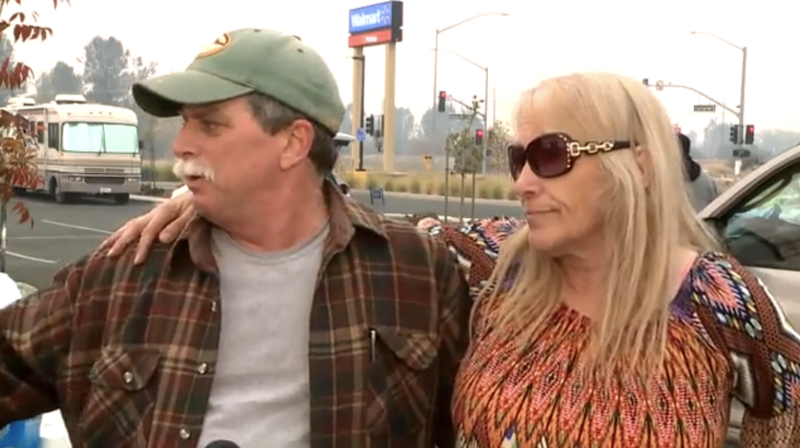 They’ve been sleeping in their car in the parking lot of a local Walmart, safe and away from the blazing fires that destroyed their home. 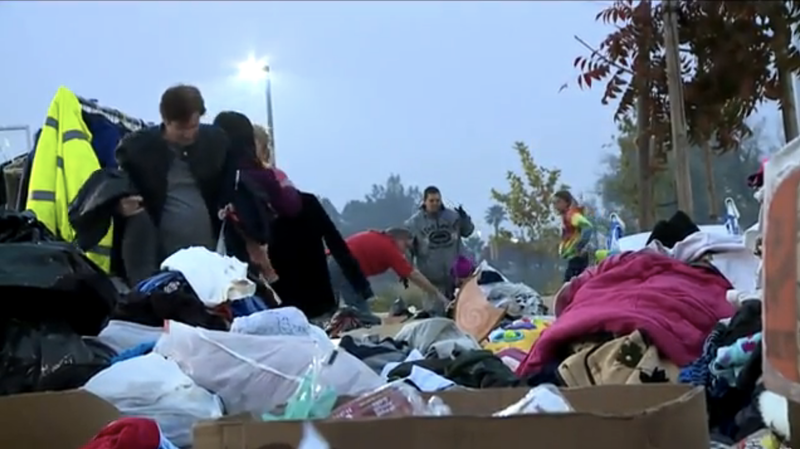 Even though they were facing a terrible situation they decided to reach out and help others. 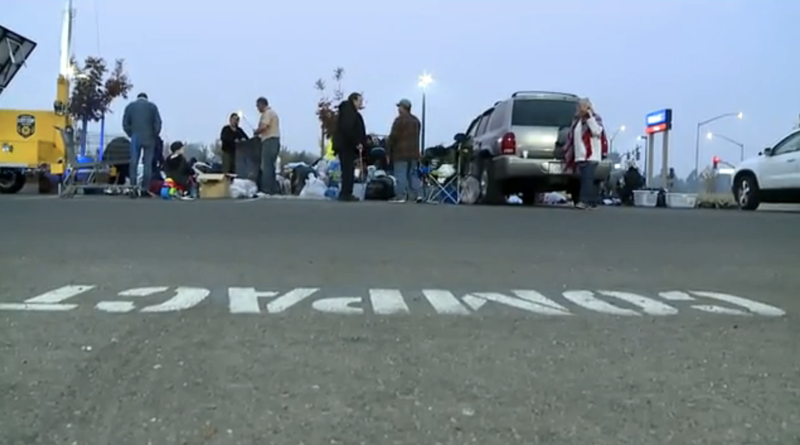 They spent $350 on groceries and laid them out on the pavement in the parking lot for anyone who was hungry to take. Their gesture of love inspired others to do the same. And their efforts are paying off, the donations are truly helping people in need. “All of our paychecks, all of our jobs, everything just gone,” Kristin Crostley said. 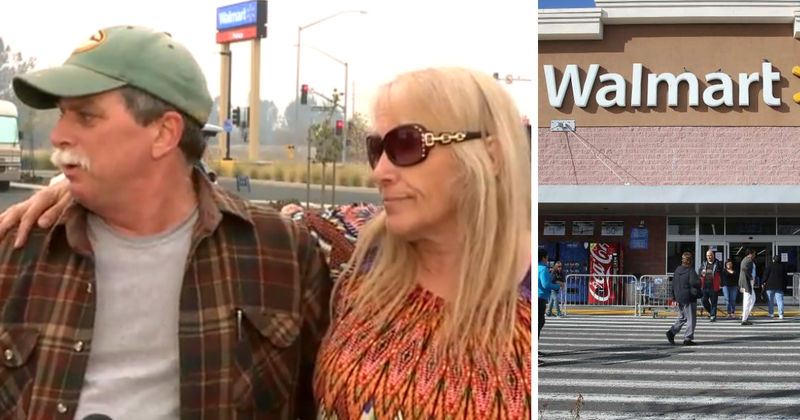 Crostley escaped to Calaveras County with her son, daughter, and two grandchildren but decided to go to Butte County where more help was being offered. 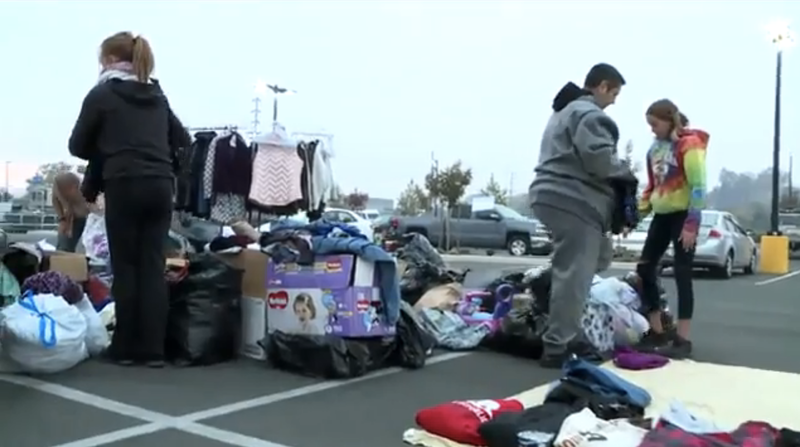 They found lots of items they needed in the pile the Clark’s started at the Oroville Walmart. 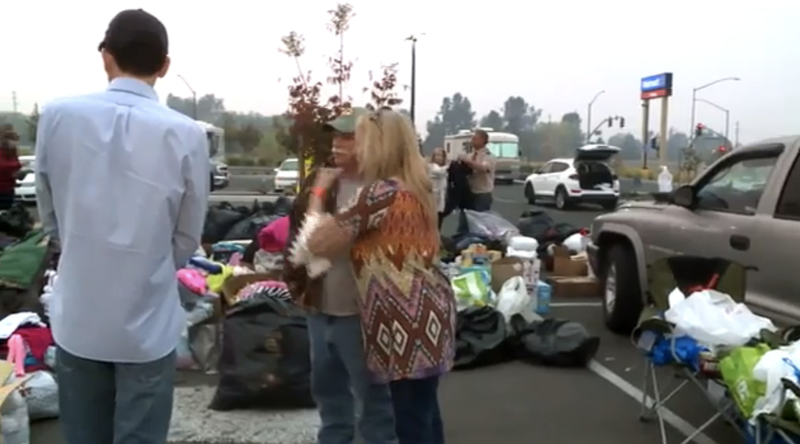 The act of kindness gave fire victims hope during a dark time in their lives as well as a renewed faith in humanity. Some say the fire and the Clarks’ gesture really made them look at life in a different way. “This right here really woke me up. Makes me see a whole new world out here,” an interviewee told FOX 40.